his pack of 20 x 230 mm long springs will give back your trampoline’s original bounce. Springs are technically the most important components on a trampoline, as they are the reason you can bounce. If they are too stretched then the power of your jumping mat will be affected. 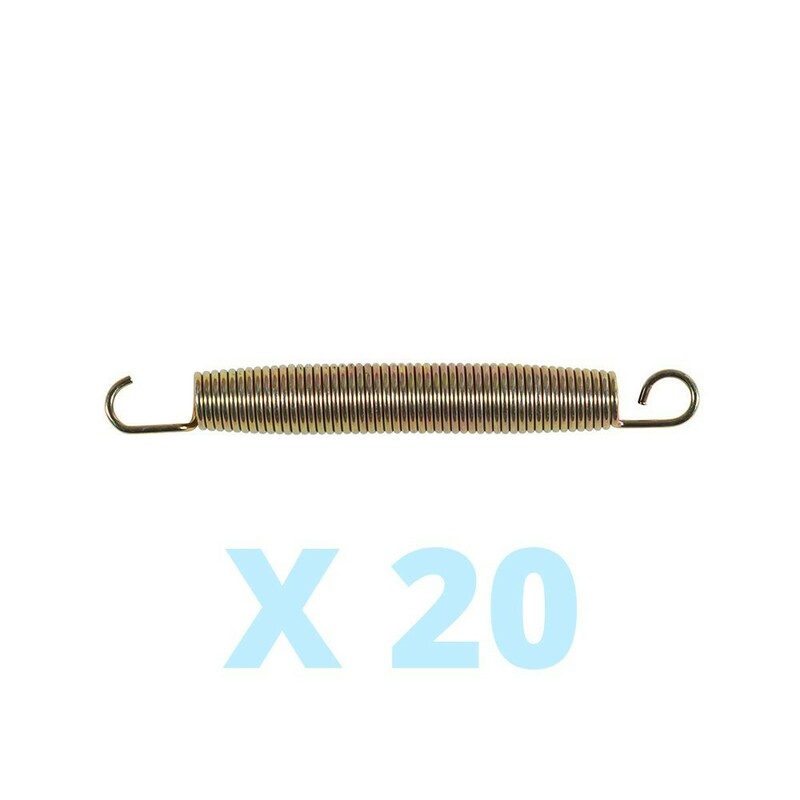 This pack of 20 x 230 mm long springs will give back your trampoline’s original bounce. 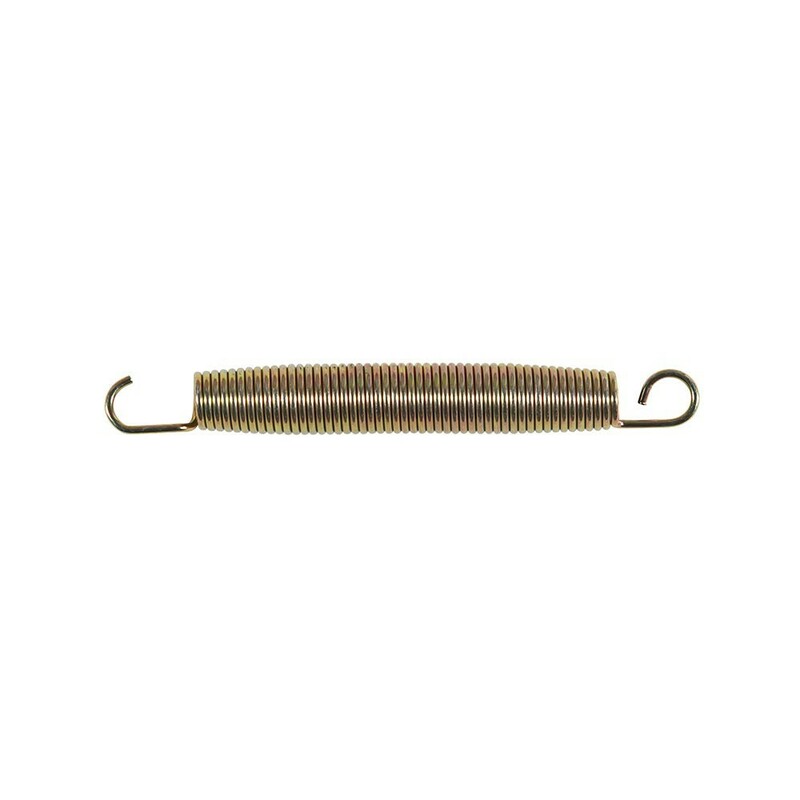 - Each spring uses a rust-proof steel wire of 3.3 mm in diameter. The coils are 28 mm wide, giving a powerful bounce to all jumpers. - Measure your springs by taking off a spring in good condition and measuring it from hook to hook. Your new spring will have two hooks with different openings: the hook attached to the jumping mat is more closed, ensuring excellent hold when the trampoline is in use. The other hook, which is fixed to the galvanized steel framework, is more open.